I got an email from the goTenna marketing/consulting/whatever folks today about some new communications thing that’s coming out. At first I thought it was just some radio thing (I constantly get emails from Chinese suppliers that think I want to sell their stuff for some reason). Luckily, I looked a little closer. This may turn out to be a great solution for preppers, hikers, and campers and a perfect addition to your family commo plan. 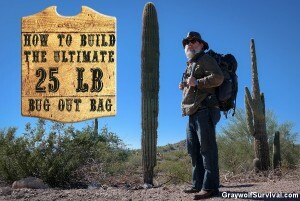 If it works as advertised, I’ll be putting two of these in my bug out bag. What it does is connect to your phone via bluetooth and then transmit an encrypted text by radio signal. Anyone else on your team with one of these within range could be able to pick up the signal and send back. You can also transmit to a specific person with it. Can you think of a time when you didn’t have service and wished you did? Every outdoors enthusiast has been there. How much would you have paid at that moment to be able to communicate? A new company called goTenna has just launched a new piece of hardware/software that addresses this problem, making “no service” a thing of the past. Using a small but rugged device, you’ll now be able to use your smartphone to communicate with anyone within range even when cell service is unavailable or unreliable. This device works anywhere around the world, free of subscriptions or fees, and is much more cost-effective than currently-available solutions. You’ll find use-cases are everywhere: Backpacking, biking, skiing, sailing, large sporting events — you name it. 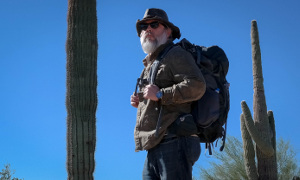 And the fact that you can go about your normal activities while remaining connected in a remote areas, makes it an essential part of anyone’s “bug out bag”. For a limited time, you can pre-order yours today from www.gotenna.com and receive 50% off from retail ($299.99). Enclosed below is a press release with more information, along with a link to a Dropbox folder that contains all final press assets and hi-res images. I’ve also attached some smaller images to give you a visual of what it looks like. 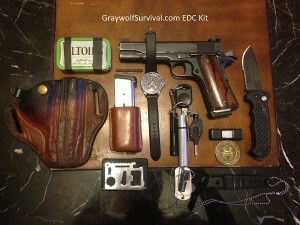 Please let me know if I can send you any more information, and I hope you’ll consider the news for Graywolf Survival! Connected device officially launches its pre-sales campaign today to enable people to text and share location with others even when cell or data service is unavailable. BROOKLYN – July 17, 2014 – We’ve all been there: whether it’s during a hike, at a crowded concert, or traveling abroad, at times when we most need to stay connected to our group, we are faced with unreliable or unaffordable cell service. goTenna, a new connected device which is launching its pre-sales campaign today, aims to make the annoyance that’s associated with not having reliable cell service a thing of the past. Just pair your smartphone with a goTenna device and communicate off-grid with those near you who also have a goTenna, anywhere on the planet, regardless of access to cell reception or wi-fi. goTenna conveniently fits in your backpack, pocket, or purse, and enables you to send messages and geo-location information to others that also have the device. goTenna allows you to communicate privately, free of subscriptions or fees, and is designed to be as rugged and resilient as its users: it’s super lightweight, compact, and weather-proof. The device was designed with multiple users in mind – from the hiking enthusiast who’s often in remote areas without service, to the sports fan who’s packed into a crowded stadium with unreliable coverage. goTenna is also perfect in an emergency scenario because it lets you communicate instantly with those around you who can help, even when cell towers and wi-fi routers go out during natural disasters. When will you need a goTenna? 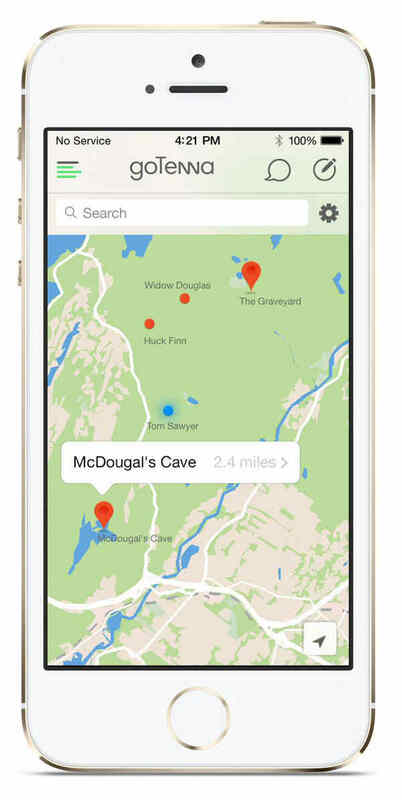 When you’re adventuring in the great outdoors: Most of the beautiful national parks, ski resorts and hiking trails don’t have great service, so what happens if you get lost and need to communicate with someone? goTenna has you covered. When you’re traveling abroad with family or friends: goTenna can be used internationally and lets you communicate with your fellow travelers free of subscriptions, service contracts or fees. It’s the perfect anti-roaming solution for frequent travelers. When you’re in an emergency and need to reach someone around you: With goTenna, you can send messages to anyone within range of you who also has the device. When you need to reach someone around you, simply send a “shout” to another goTenna user. When you want to communicate privately: Because goTenna has no central node, no messages are ever stored on a server. Moreover, each message is end-to-end encrypted, and you can opt to have them self-destruct upon reading, ensuring your messages are yours and yours only. “Our mission is twofold: to let people communicate whenever and wherever they want, on their own terms, and also to make sure that in times of a true emergency, people are able to reach others around them,” said Daniela Perdomo, CEO of goTenna. The device pairs wirelessly over BluetoothLE to the goTenna app (available on iOS and Android), allowing you to send and receive text messages and share GPS locations on beautiful offline maps via low-frequency radio-waves over relatively high range (up to 50 miles). The goTenna app has automatic message retry and will let you know when your message has been delivered to the intended recipient. You can create your own networks with goTenna, with the ability to designate specific individuals or groups as your message recipients, as well as opt into public conversations with others within range. Not only does the service offer end-to-end encryption and optional self-destructing messages, enabling users’ privacy, thanks to goTenna’s advanced networking protocols, no messages will interfere or overlap with each other. goTenna is made of high-grade, durable materials, all industrially designed to be weather-proof and dust-tight. goTenna comes with a micro-USB charger and rechargeable lithium-ion battery, which will last 72 hours with intermittent use. If it is on 24/7, it will last around 30 hours. If off, it will hold its charge for about a year and half. While other solutions such as field radios or satellite phones can cost $500 or $1,000 for a single unit, goTenna is offering a pre-sales discount rate of $149.99 for a pair of devices with the goal of raising $50,000. After the limited quantity of discounted devices sells out, each pair will retail for $299. goTenna is expected to start shipping its first batch in late fall. To place your order, please visit: www.gotenna.com. Based in Brooklyn, goTenna was founded by siblings Daniela and Jorge Perdomo, who came up with the idea during Hurricane Sandy when over a quarter of cell towers were downed. Beyond an emergency situation, the use-cases became apparent everywhere: hiking in remote areas, traveling abroad, attending music or sporting events. The company’s goal is to empower people to communicate directly using their smartphones without having to rely on central connectivity, making goTenna an essential device everyone should own. It does sound pretty useful. You have to have a iOS or Android device to get the app that it connects to. You also have to have someone on the other end that has one of these in order to pick up the signal. It supposedly lasts about 30 hours of continuous use but it charges over micro-USB so you’d need something like my Almost unlimited power for your camping or bug out bag electronics system if you were going to be out for a while. So is it something that I think preppers, campers, hikers, and families should look into? Heck yeah! Let’s assume that it’s a quality product. I don’t have a couple of them so I can’t test them but they appear to be well-made. The range is most likely going to turn out to be about 25-50 miles if you find yourself up on a moutain-top, 5-10 miles in a rural area and about a half to full mile in a city. If that’s true, it would be great to have for families who live near each other or can travel to get in the vicinity. If cell towers go down or they’re overloaded like they have a tendency to do during a big disaster or emergency, you’d still be able to get through via text and see where your family or team members were. Cell service is notorious for going down during events like this – and exactly when you need to get a hold of people. 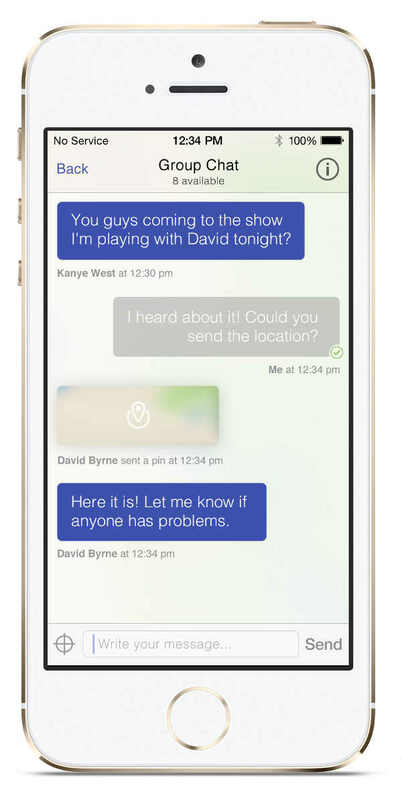 If you were at a huge event like the Burning Man festival, Disneyland, or a county fair, you could see exactly where everyone else is and be able to send info easily. That’s just not possible with cell towers sometimes. This thing not only sends text, it’ll show you where everyone’s at. 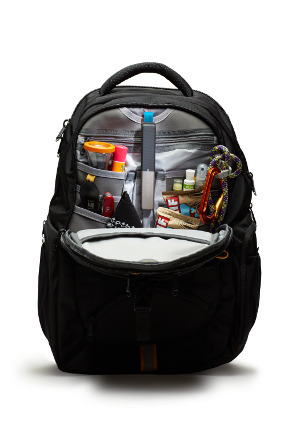 Think how awesome that would be if you had one of these strapped to your kids’ backpacks or on their belt. If you got separated, you could just pop on and see where they’re at (if they had a cell phone on them, that is). If you were at a remote campground or cabin, this would be an indispensable piece of kit. Normal radio transmissions sometimes work but can be spotty. So do I think this is a better idea than having just a ham radio like a Yaesu VX-8DR or a Baofeng ? Well, I don’t. But, I’ve been on countless missions where comms just didn’t work. When you could get a signal, it was spotty a lot of times and you couldn’t tell what they were saying. Because this thing sends the signal through the radio waves and keeps resending it until it gets through, your text or location is MUCH more likely to get there. That’s a huge advantage. There are many times in Africa and Afghanistan that I had critical information that I couldn’t get through. 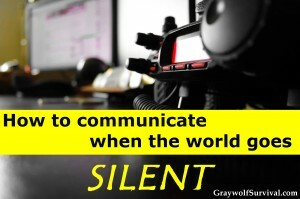 If you’re in an emergency or survival situation, you definitely have to have the most reliable comms you can. Also, the device uses RSA-1024 public-private key ciphering and text that can self-destruct upon reading, so it’s definitely safer OPSEC-wise than using a regular text or radio system, especially since it doesn’t go through cell towers or satellites. Because you can create your own mesh network with your people, you can keep conversations separate and secret. Currently, the FCC doesn’t allow daisy-chaining (I’m out of range of Bob but I can reach Alice and Alice can reach Bob. If we daisy-chained, I could talk to Bob through Alice’s connection if it were daisy-chained). If that changes, it could really be a big thing. Also at the moment, you can only do text and map locations. Several people have requested the development kits already though so keep a look out for other uses that would be very useful for survival or prepping. * Size: The dimensions of a goTenna are roughly 5.8 in x 1 in x 0.5 in or 146.7 mm x 12.7 mm x 0.5 mm. When the device extends, its length increases by 2.2 in or 56 mm. *Weight: 2 oz, or 57 g.
Hopefully I can get a hold of a couple of these and do a review. 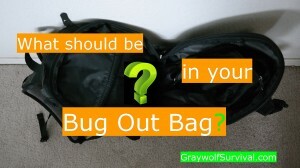 Once I do, you’ll be able to find it in my prepper gear review category. In the meantime, if you get a hold of a couple of these, let us know how they work for you, and especially how you’re using it to support your survival or emergency preparedness plans. Not an inexpensive bit of kit but like you I could defiantly see a use for them if your friends and family got on board as well in town or if local fire-rescue groups and police agencies started carrying them so that you could use them for emergency calls. Until the latter happens, or you have a handful in a SHFT situation to hand out to personnel that need coms I don’t see the value for a typical hiker/camper since it offers no emergency help contact which is really what you need out in area’s with no cell coverage (not in a end of world SHFT, just the normal fallen/lost hiker sift), until then ham radio or satellite networked emergency beacons/phones are a better option for that crowd. Hi there, Daniela from goTenna here. Thanks so much for your thoughtful appraisal. No problem Daniela. It looked very interesting and a lot of people are interested in it. Hopefully I can get a hold of a couple at some point to write up how they work and how to use them. 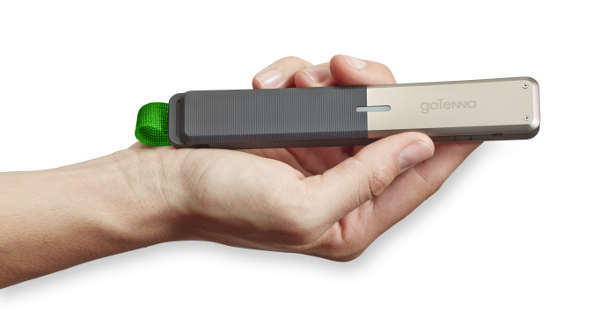 I saw the GoTenna on a tv program about tech gadgets a while ago. Was interesting though it seemed to have limited range. You might want to also check out the Vibe App (think is @VibeApp on Twitter). Was used by Occupy participants to communicate anonymously and the range is thousands of miles. Essentially the goTenna is a 2W MURS radio (although you have the capability of sending/receiving texts “if” you a) have your cell phone, b) it’s charged, and c) you’re in range of the goTenna user you’re trying to reach. At $149.00 for a pair, I think most preppers would be better served with a couple of VHF/UHF handheld radios, especially if your state has so many ham radio repeaters (in my case AZ has over 350 and counting). goTenna might work well in an urban environment (with cell towers available), or if your goTenna partner is always within simplex range of this 2W radio, but this is not a piece of kit that I would count on in any wilderness environment. Direct coms with family in emergencies, or failure of cell service, makes this a must have for a lot of people who care for the safety of their loved ones. Did you try these out Scott? 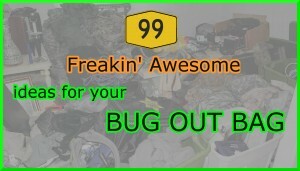 I didn’t see a review for them in the prepper gear review category. I’m curious what the actual range is in a rural environment. I haven’t had a chance to test them out fully yet but I’d say to wait for something else to come along. They’re ok for family outings but not really a great survival item.